Changing Specialisms - are conversion courses a waste of money? Send me any examples you have of a course delegate in the last 6-9 months (ie since the credit crunch) who has managed to use their investment of £995-£1,500 to secure a paid post in the field they are looking to convert to. I get a call on average once a week from a lawyer asking me for advice as to whether they ought to do these courses, and my advice has been to avoid them like the plague!! I can see no benefit at all from doing them - firms want practical experience, not academic study, and I simply cannot understand the merits of studying yet more law and paying 1-4 weeks salary in order to do so..
A Hertfordshire firm dealing with personal injury law work issued a press release recently to the Law Society Gazette to say that they are setting up a law firm in South Africa to handle personal injury cases at low cost. The Law Society Gazette talks about this new ground and almost hinting at it being the way for out sourcing in the future. It’s amazing that this continues to be a story, as the firm in question have been peddling these ideas for years, and if you look back through the Law Society Gazette they have featured fairly regularly over the years for promoting outsourcing. Every time something else happens the Law Society jump on it and publish a story, which probably does not reflect the reality very much at all. I cannot see what the difference is and why this story has made particularly the front page of the Law Society Gazette as it appears to do nothing but advertise the firm of solicitors as opposed to being any particular news worthy item. Outsourcing has been going on for many years with firms for example who have an operation centre in the UK, outsourcing a lot of the conveyancing work to Indian operatives. Indeed, conveyancers have gone to India to oversee the departments and set things up there. Jonathan Fagan is Managing Director of Ten Percent Legal Recruitment and can be contacted at cv@ten-percent.co.uk or 02071274343. In the last few months we have seen a large rise in the number of Legal Service Commission funded posts. It seems that a lot of firms are looking to expand their legal aid departments and take on new staff and a number of practices have applied and been awarded LSC contracts in areas that until recently were avoided like the plague by solicitors firms! 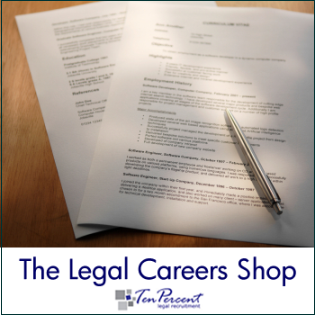 We were recently approached by a firm who now have a contract in employment, welfare benefits, debt, housing, community care and mental health work and were on the look out for solicitors and paralegals to join and develop these areas of practice. This has not happened for quite some time, as firms have been concentrating on getting out of legal aid work and do more high street matters such as conveyancing and wills and probate. I think we are seeing a cycle return now with the collapse of the conveyancing market and firms are starting to go back into the legal aid areas. If my memory serves me correctly, the firm who have registered the recent set of vacancies were only fairly recently looking to take on conveyancers and private client solicitors. That has clearly now changed and it looks as if the firm are heading back to dealing with legal aid work. It is very interesting from a recruiter perspective as only two to three years ago, we were finding large numbers of LSC funded fields were disappearing and departments closing down but there were a good number of redundancies, for example, of crime solicitors and it has only been recently that crime has again picked up in terms of recruitment. There are now quite a large number of firms recruiting duty solicitors, although matters have changed slightly in that a good number of them now want lawyers only, there are still vacancies there. In fact, I did a quick straw poll in the Law Society Gazette last night and noted that 40 percent of the vacancies in the back of the Gazette were crime solicitors. Out of these, at least 70 percent of them were freelancer or people to be paid commission based on the work that they did and are in positions. I predicted about a year ago that this was the way to fight a falling revenue from LSC. So although the areas of recruitment have changed, so have the ways of recruiting. Things are not the same anymore. As the recession picks up it will be interesting to see how many firms ditch the LSC funded work again and go back to conveyancing and other fields that are so much more profitable when the economy is thriving.. In summary, as the economy picks up, so will the number of posts for non-LSC funded work.